The Parker Solar Probe spacecraft is now dangerously close to the sun. The American spacecraft has just completed its second flyby of our star. It has passed only 24 million kilometers from the surface of the sun. It is about the same distance as during its previous flyover. It will be necessary to wait a little before Parker Solar Probe communicates the data collected during this passage. So far, its communication tools are safe behind its heat shield. Nevertheless, we know that the space probe is in good condition. Parker Solar Probe is expected to make a pass at this altitude in September, before lowering its orbit through a flyby of the planet Venus. It will repeat the maneuver in the following years to fly over the sun at only 6 million kilometers, which will be enough to dive into the heart of phenomena that accelerate the solar wind and increase the temperature of the crown. These phenomena are still poorly understood. Parker Solar Probe will make a second pass close to the sun on April 4, 2019. During its first flyby, the space probe has already collected several gigabytes of data. The mission team is reassured to see that the spacecraft and its huge heat shield behaved exactly as planned. All systems are therefore operational for a second meeting with the sun, at the same altitude as the previous one. At the end of the year 2019, Parker Solar Probe will fly over Venus to allow it to start lowering the altitude of its passage around the sun. The space probe will therefore have to withstand increasingly extreme temperatures. Parker Solar Probe has just broken the record of approaching the sun, previously established by Helios 2. The space probe will do its passages closer and closer to the sun until 2025, which should allow us to better understand the sun, its structure and activity. NASA’s Parker Solar Probe took off mid-August for a mission that will periodically go near the sun. The first flight of our star will take place on November 5th. Meanwhile, Parker Solar Probe has already started operating its instruments. This is the opportunity for the space probe to give us a first image. Both telescopes of the instrument should normally be used to study the solar corona, but for this image they focused on the Milky Way. The other three instruments of the spacecraft have also performed tests and everything seems to work perfectly. Parker Solar Probe seems well on the way to take very precise measurements of the sun and perhaps solve some of its mysteries. Last Sunday, Parker Solar Probe was taking off for a sun study mission. For the first time in NASA’s history, the probe is named after a scientist still alive. At 91, Eugene Parker was even able to visit the Kennedy Space Center to visit the facilities and attend the launch. Eugene Parker is a pioneer in our understanding of the sun. In 1958 he put forward the hypothesis of the existence of solar winds. 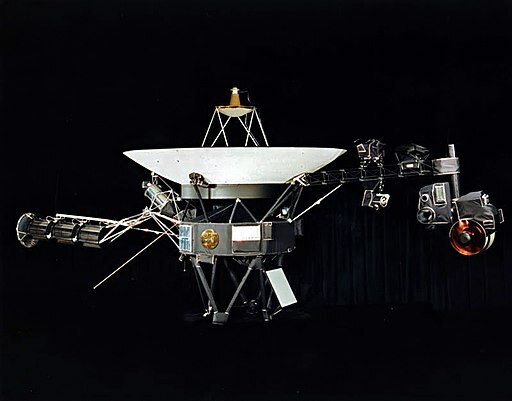 This hypothesis was confirmed by the first interplanetary flight of the Mariner 2 mission in 1962. But there are still many aspects of the sun that are not well understood. 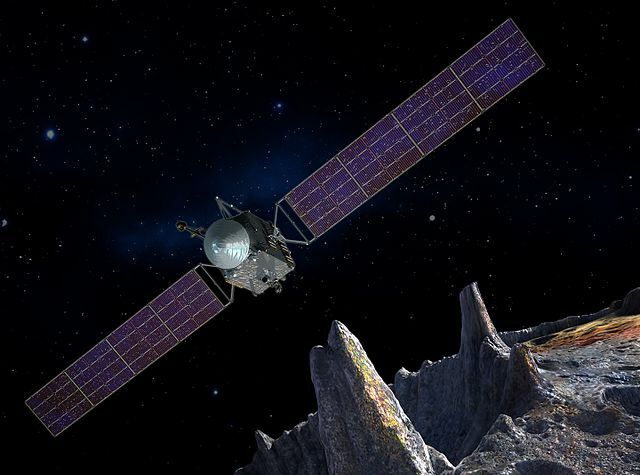 Recent advances in materials, however, have made it possible to design a space probe that will be able to withstand the heat of the sun and come closer to the sun. Parker Solar Probe will approach 7 times closer to the sun than the probes that preceded it. 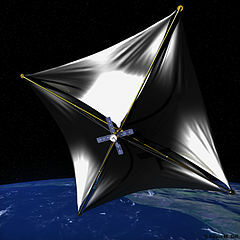 This will allow the space probe to fly directly through the sun’s atmosphere. The space probe will be exposed to enormous amounts of radiation and temperatures near 1400 degrees Celsius, which is high enough to burn any electronic component. Parker Solar Probe will survive thanks to a carbon fiber shield with a thickness of almost 12 centimeters. A passage so close to such a massive star will bring the small space probe to vertiginous speeds. When it comes closest to the sun, Parker Solar Probe will fly over the sun at nearly 700,000 km / h. During these brief passages closest to the sun, the spacecraft will become the fastest artificial object in history. During the 7 years of its mission, Parker Solar Probe will make 24 passes near the sun, closer and closer to the sun. This should solve some mysteries about the sun. The sun is a gigantic thermonuclear reactor that fuses every second hundreds of millions of tons of hydrogen. The majority of these reactions take place in the heart of the star. The temperature of the sun decreases when one moves away from the heart of the sun. It is 15 million degrees Celcius in the heart of the sun and only 5000 degrees Celsius on its surface. But if we move further away to reach the solar corona, temperatures rise to 1 million degrees Celsius. This phenomenon is still poorly understood. It is also in the solar corona that the solar winds are accelerated before bouncing back on the Earth’s magnetosphere or going to crush the atmosphere of the planet Mars. Parker Solar Probe will be able to observe these phenomena in detail, and hopefully help us better understand them. By better understanding the functioning of the sun, we will better understand the functioning of all the stars of the universe. Parker Solar Probe started the journey without a problem. At the end of September, the space probe will make a first flyby of Venus, then a few weeks later in December it will begin its data collection with a passage near the sun. Six additional overflights of Venus will allow the probe to progressively lower its orbit. These maneuvers are expected to last until 2024. At the beginning of the next decade, the results of Parker Solar Probe will be studied in parallel with those of the Solar Orbiter probe, a European space probe. The sun will be studied by the Parker space probe which will be launched during the summer. The space probe will be close to the sun less than 5 million kilometers away, which is closer than any other space probe before. It will be exposed to a level of heat and huge radiation. The mission of the Parker space probe is to improve our understanding of the sun. It will study the energy and heat movements of the sun. The goal is to better understand the mechanisms behind solar winds, to possibly be better able to predict them. Modern infrastructures that are increasingly dependent on satellite technologies are particularly vulnerable to these solar winds. The challenge of the mission is both scientific and economic : the Parker space probe will cross the solar corona. It will then undergo temperatures above 1400 degrees Celsius. The Parker space probe is therefore equipped with a carbon composite shield of almost 12 cm thick to survive. Behind the shield, the four instruments of the space probe will measure the particles present, the electric and magnetic fields. In this extreme environment, two telescopes will also take close-up images of the solar corona and the inner heliosphere. The Parker space probe will be placed in a highly elliptical heliocentric orbit that will lead it to come closer and closer to the sun. After a gravitational assistance maneuver with Venus in September 2018, it will approach the sun for the first time in November. Its orbit will bring it closer than ever to the sun, 23 times by the summer of 2025. To achieve this, Parker will perform 7 gravitational assistance maneuvers around Venus. The space probe will reach enormous speeds during its passage to the sun, up to 720 000 km / h. It will be the fastest human object of all time. Next year will be launched the ESA Solar Orbiter spacecraft, whose mission is also to orbit the sun. The European orbiter will not get as close to the sun as the Parker space probe but it will ship ten instruments to better characterize the near heliosphere of the sun. The combined results of the two space probes will improve our understanding of solar behavior, which will be useful for satellite constellations and for human activities outside the Earth’s magnetosphere.